“For those of you who are becoming acquainted for the first time with Carleton’s Arboretum and Nature Trail, it might not be inappropriate to point out that these features of the college are almost entirely the result of the unselfish and indefatigable efforts of two men: Dr. Harvey E. Stork, and Superintendent of the Grounds, D. Blake Stewart” (Stork and Stewart, 1937). –A proud excerpt from Stork and “Stewsie’s” trail guide. During my time competing as a St. Olaf cross-country athlete, I have run hundreds of miles in the Cowling Arboretum. The “Arb’s” shaded trails provided a training ground for my teammates and I, yet it also served as a refuge. A peaceful escape from academia, I would often find myself enveloped within it as I paced along the rivers, bounded through the prairies, or dashed through the pines. For a privileged individual born into areas with nature reserves and state parks, it is easy to take them for granted, assuming that they were always available to those before me. Yet these natural areas do not simply pop out of thin air. Land must be bought and laboriously managed. Analysis of history allows us to understand what it takes to create such a beautiful and expansive area such as the Cowling Arboretum. This essay will investigate the landscape to the north of Carleton College, comparing it to hypothetical surmises of the landscape thousands of years ago, as well as historical reports from the 1600’s to the 1800’s, and photographic and well documented reports of the 20th century. When examining the Arboretum’s history, it becomes apparent that individuals with passionate interests and tenacious effort were primarily responsible to the establishment of this expansive area, while the collaborative efforts of students and faculty are what sustain it. Human history is merely the tip of a massive, ancient iceberg, culminating a conglomerate of geological and biological actions preceding it. In order to chronicle the Cowling Arboretum’s history, we must recognize its pre-homosapien history. 400-550 million years ago, southeastern Minnesota was submerged beneath a sea, which resulted in a diverse layer of bedrock that remained once the seas dispersed and eroded it. One of the greatest influences of the Cowling Arboretum’s topography is the Des Moines lobe of the Wisconsonian glacier. As it began its retreat some 14,000 years ago, it deposited rich soil, essentially tilling the earth beneath it (MFRC, 2000). Additionally, the glacier carved out what would become the Cannon River Valley, which is what the Cowling Arboretum resides in (Patterson, 1998). 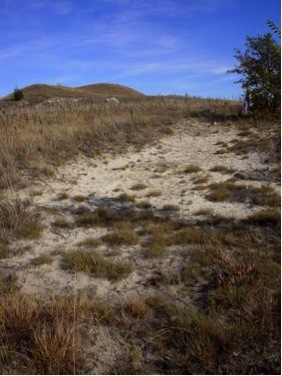 This soil was unprotected and easily eroded during major flooding events of this river valley, resulting in the Arb’s variable landscape, as well as its sandy soil in many areas. This narrative of the Arb’s geological landscape resonates with its ecological history, which we are able to envision due to scientist’s analysis of pollen, charcoal, and sediment (Camille et al. 2003). The prairie–forest ecotone in south-central Minnesota was examined using two lake sediment cores to reconstruct independent records of climate, vegetation, and fire, and it was discovered that climatic shifts facilitated a transition of ecosystems, from boreal forests, to dry prairie, to woodland/savannah, and finally to Big Woods around 2500 years ago. Many suggest that the Arb represented a transition between these phases; the highlands being the prairie, the slopes covered in upland forests of maple, basswood and oak trees, and the flood plain along the river consisting of elms, green ash, silver maple, and box elder trees (Ward and Umbanhower, 1984). However, because early colonial history of the Arboretum’s area is scant, there is speculation about the exact regimes present in the Arb in each area. Indeed, the Arb experienced quite a different relationship with arrival of settlers, one of commodification rather than an understood dependency. French fur trappers began exploring the area in the 1600’s, setting up trading posts and hunting many mammals to localized extinctions. Buffalo and beavers, keystone species in prairie and riverine ecosystems, respectively were both hunted to extinction in the Cannon River valley by the 1880’s at the latest (much earlier in most locations). As this extinction occurred, due to the absence of grazing and dam-building effects, the local area underwent many changes in ecology (O’Brien, 1982). The construction of the Waterford Mill in 1873 marked another inauguration of aggressive land use. The mill, used by the settlers to grind wheat into flour required a damn to be built, and subsequently inundated a large area of the Arb, killing many of the trees in the lower floodplain area, as well as evicting the local fauna. At, one point, fifteen flour mills operated along 20 miles of the river between Faribault and Northfield, each with its own dam on the river (Carlson, 2004). However, due to competition from large mills in the St. Paul- Minneapolis area, the Waterford mill closed in 1905, and the dam was allowed to crumble. 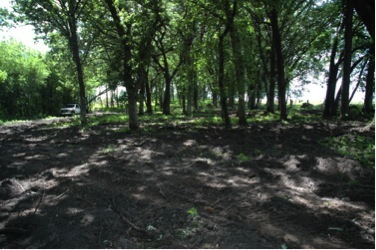 Thus a new layer of soil was available for tree recruitment, which can still be seen in the floodplain area, characterized by dense thickets of middle aged trees. Distinctive of early 20th century Midwest inhabitants, very little interest went into creation of a natural lands along the river, or anywhere in Northfield for that matter. Ultimately, the purchase and preservation of this area was due to the tenacious work of three individuals: Donald J. Cowling, president of Carleton from 1909 to 194; Dr. Harvey E. Stork a professor of Botany at Carleton; and D. Blake Stuart, master groundskeeper for the greater part of the 20th century. At the time Donald J. Cowling was appointed president of Carleton College, the college property consisted of a nuclear 66 acres; “Cows grazed with 100 feet of classroom buildings” (Carletonian, 1982). Yet during his time as president, due to both generous deed dedications of farmland and purchases under Cowling’s discretion, Carleton expanded to well over 900 acres (Carletonian 1945). The college hoped that science courses could be created with a focus in agriculture, a budding area of science at the time that would eventually evolve into soil ecology and biogeochemistry. With the allocation of these farms, the students gained access to a new source of vegetables and dairy products, as well as experience in the field. All the while, Cowling began to develop a connection with the natural landscape. “I am beginning to think,” he wrote, “that I am something of a farmer by instinct for I have certainly gotten a lot of pleasure out of ‘fooling around’ with it [farm] the past few weeks” (Headly and Jarchow, 1915). Cowling’s affinity for the outdoors was evident in his reaction to the idea of creating an Arboretum, the first of its kind in the Midwest, by a newly hired professor of botany. In 1926, at the suggestion of Professor Harvey E. Stork, the creation of the Arb was kick started on Carleton’s land bordering the Cannon River. “This project, which began in 1926 with the planting of some 1,ooo trees – many of them gifts from the state forestry department and the federal department of agriculture – would be an ongoing endeavor” (Jarchow 1974). -An image of one of the initial tree plantings in the arb, circa 1927. Courtesy of the Carleton College digital archives. “Let me venture the statement that there is not a biologist in the state that would not lament the disappearance of this last fine sample of the ancient ecology of the Big Woods area.” -Stork, Big Woods at Nerstrand an Ideal Place for a State Park. His main arguments for the allocation of nature reserves were that they would stand as a living “historical monument” for early pioneer life, “keep us the secrets of plant and animal lore,” and provide advantages for recreation and areas of scenic beauty. Specifically, Stork found the Arboretum admirable due to its diversity of land contours – islands, stream banks, bogs, plains, jutting rocks, plateaus – and soil types ideal for a tree and shrub collection of heterogeneous variety (Headly and Jarchow, Carleton, the first century, 54). -An airplane view of the campus from Carleton College’s digital library, taken by Professor Harvey Stork during the era of Cowling’s presidency. The arb runs along the middle of the image, with visible areas of farmland which are now forest. With the aid of groundskeeper D. Blake Stewart as well as a few students on scholarship, the two began to plant, build, and trail blaze. By 1930, 300 different species of trees and shrubs had been planted, as well as a 5 and 7 mile nature trail completed. In 1937, a trail guide was published by Stork, listing numerous points of interest along the trail for the avid day hiker, including historical clam harvesting sites, processes of erosion, and exotic flowers and animals (Stork, 1937). At a time where even the University of Minnesota was lacking a nature preserve, Carleton’s Arboretum was a great source of satisfaction and pride, boasting rustic bridges, and endless varieties of plants and wildflowers. In 1949 it was made a part of the nearby State Game Refuge (Headly and Jarchow, 1966). Cowling was “very much” so pleased to see the Arboretum named after him by the trustees, a few years before his death, but he was most pleased with seeing his dream of a great outdoor botanical laboratory coming to fruition (Jarchow, 1974). Unfortunately, upon Cowling’s death and Stork’s retirement, the Arb began to suffer from lack of direction and maintenance. While Stewart faithfully toiled, claiming to have planted 200,000 deciduous trees, 75,000 coniferous trees, and over 200,000 wildflowers into the Arb, the work was simply not enough. Flooding, served as a problem, yet it was ultimately vandalism that led to the Arb’s decline. Unwisely, the trails of the Arb were opened to motorized vehicles by the ad hoc committee that was governing the area. The Arb soon became a teenage and college hangout, thus inciting an “avalanche of beer cans” and vandalism to follow in its wake (Ward, 1984). The roads were closed in 1969, but not before several truckloads of trash were hauled out. The future at that moment was uncertain for the Arb. The 70’s brought in a new era of environmental fervor, following Earth Day on April 22, 1970. Earth day was a profound source of inspiration and self-directed environmental action (Rome, 2010). For the Cowling Arboretum, Earth Day connected its plight to a global cause, rallying the student body alongside it. To kick off the celebration, an Earth Day forest was designated and planted on floodplain that was currently being cultivated, like the majority of the Arb’s floodplains back then (Luterra 2007). A land use seminar was then organized three years later by a professor in the geology department, followed by a grant from the Culpepper Foundation to assist in turning the Arb into a study and recreational area. In 1976, the Carleton Environmental Studies Committee was approved by President Swearer, whose main duty would be to manage the Arb. In addition, many students took a “deep interest” in its revival, volunteering with buckthorn removals, tree plantings, restoration of cultivated fields, and more (Jarchow, 1992). Suddenly, the Arb was once again under the spotlight of the student body, representing both opportunity to get involved with the environment, as well as a way to combat destructive forces identified during this era. Though funding was limited, a new sense of stewardship towards the land had emerged, and fields continued to be abandoned for the restoration of the Arb’s previous ecosystems. The Cowling Arboretum has managed to continually progress towards a restored image of its pre-colonial self, due largely to student conscientiousness. Questions of aesthetic value and wastefulness are a common theme, reoccurring since Earth Day, such as the debate over a large expensive recreation center that cut into the campus’ natural lands (Rand 1997) or the reinstitution of the Carleton farm. Much planning now goes into the architecture of the Arb, with most recent projects attempting to replace the non-native pine forests with those more typical of southeast Minnesota (Valle 2013). Ecological restoration of the Carleton Arb has proven to be a tedious, lengthy, yet rewarding and exciting process for its students and faculty. If anything is apparent in its history, it is that individuals can make profound impacts upon it if they are driven. In this century, we have seen a massive restoration project come to fruition. The Arb now boasts eight student naturalists, as well as master naturalists training courses, primary school field trips, YMCA day camps, and four full time supervisors and managers. Practices such as invasive species removal and regular burnings are commonplace, and of course, the Arb continues to function as an excellent recreational area for its students and the Northfield community. With dedication and care, it will continue to do so indefinitely. Bray, J.R. 1956. Gap phase replacement in a maple-basswood forest. Ecology 37:598-600. Camill, P., C. E. Umbanhowar Jr., R. Teed, C. E. Geiss, J. Aldinger, L. Dvorak, J. Kenning, J. Limmer, and K. Walkup. 2003. Late-glacial and Holocene climatic effects on fire and vegetation dynamics at the prairie-forest ecotone in south-central Minnesota. Journal of Ecology 91: 822-836. The Carletonian 1945. Cowling Retires after 36 years’ service.Issue 64, No. 16. April 14, 1945. The Carletonian, 1982. “Stewsie,” Arboretum founder, mourned at 100. Page 4. April 30, 1982. Carlson, Britt, Jeff Jasperson, Tonya Kjerland and Nathan Smits. January 28, 2004. The Cannon River: An overview of the physical characteristics and management of the watershed. St. Olaf College. Grimm, Eric C. Chronology and Dynamics of Vegetation Change in the Prairie-Woodland Region of Southern Minnesota, U.S.A. New Phytologist, Vol. 93, No. 2 1983. Grimm, Eric C. Fire and other factors controlling the Big Woods vegetation of Minnesota in the mid-nineteenth century. Ecological Monographs. 54(3) 1984 (The Ecological Society of America). Headley and Jarchow. 1915. Carleton, 31-32, 307-308, 467; Donald J. Cowling to F. S. Bell, June 14, 1915. Headly, Leal A. and Merrill E. Jarchow. 1966. Carleton: The First Century. Carleton College, Northfield Minnesota. <http://contentdm.carleton.edu/cdm4/document.php?CISOROOT=%2FArchives&CISOPTR=4169&REC=10&CISOBOX=arb&gt;. Jarchow, Merrill. 1974. Donald J. Cowling : educator, idealist, humanitarian. Carleton College. Northfield, Minnesota. Jarchow, Merrill E. 1992. Carleton Digital Collection. Carleton Moves Confidently Into its second century. The Lewis Years. <http://contentdm.carleton.edu/cdm4/document.php?CISOROOT=%2FArchives&CISOPTR=2150&REC=8&CISOBOX=arb&gt;. Kallestad Beth, Aaron Wills, Lucas Bistodeau, and Leslie Kennedy. 2011. Signs of Progress: the State of the Cannon and Straight Rivers. Cannon River Watershed Partnership. Luterra, Markael. 2007. Carleton College Cowling Arboretum: An Interpretive Guide. Maher, Neil. 2000. “‘Crazy Quilt Farming on Round Land’: The Great Depression, the Soil Conservation Service, and the Politics of Landscape Change on the Great Plains During the New Deal Era.” The Western Historical Quarterly 31, no. 3 (2000): 319-39. Minnesota Forest Resources Council Landscape Program. Minnesota Southeast Landscape Current Conditions and Trends Assessment. October, 2000. O’Brien, Jim. 1982. “The History of North America From the Standpoint of the Beaver.” In Free Spirits: Annals of the Insurgent Imagination, edited by Paul Buhle, 39-48. San Francisco: City Lights Books, 1982. Rand, Catherine. 1997. Rec center needs reevalutation; preserve Arb, College aesthetics. The Carletonian. April 11, 1997. Shea, Kathleen. 1993. The Cannon River Valley: Chapter VIII: Forest Ecology. St. Olaf College, Northfield MN. Steinberg, Theodore. 2002. Down to Earth: Nature’s Role in American History. Oxford: Oxford UP, 2002. Print. Stork, Harvey E. Big Woods at Nerstrand an Ideal site for a State Park. <http://contentdm.carleton.edu/cdm4/document.php?CISOROOT=/NfldLibrary&CISOPTR=3097&REC=3&gt;. Stork, Harvey E. and E. Blake Stewart, May 20, 1937. Carleton College Nature Trail Guide. Carleton College Department of Botany. Valle, Brandon. Feb. 28th, 2013. Pining Goodbyes. Carleton College Cowling Arboretum. Arb Talk. <http://apps.carleton.edu/campus/arb/programs/student_naturalists/arbtalk/story_id=971355&search=buckthorn&gt;. Ward, Richard and Charles Umbanhower Jr. 1984. The Evolving Arb. Carletonian 12 Oct. 1984.